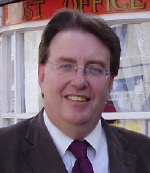 The MP for Henley is John Howell MP, who has been MP for Henley-on-Thames since June 2008. Mr Howell was a former County Councillor for Dorchester before being elected as a Member of Parliament. Click here for a link to Mr Howell's website where you can find further links to his newsletters and other information.